Makeup is a girl’s best friend, every girl in the world wants to look beautiful and make up does exactly what they need. For many, makeup is a way of expressing mood, if you apply soft makeup it will indicate your calm and reserve personality whereas, dark and dramatic makeup pops out your crazy and fun loving personality. The impression that girls wear makeup solely to impress others is false and every girl knows that the purpose it serves has nothing to do with what others think of them, they just do it for themselves. Makeup can enhance your beauty but do you know it can damage your natural beauty if you do not remove it before sleeping? Not removing your make up before going to bed can cause some serious damage to your skin and overall beauty. Wrinkles are always a big NO for all women as they never want to age and the whole purpose of doing make up will die if they have wrinkles on their face. But, do you know if you sleep with your makeup on it can result into bringing wrinkles on your face a lot earlier than usual. To avoid this, remove your makeup before going to bed so that your sweet dreams remain sweet as you have confidence that you have a glowing skin. Daily cleansing is good for your skin. Usually, after a long tiring day, girls do not get time to cleanse their face and all they can see is their cozy bed. This may sound a little inconvenient but one must not forget or leave this part as carelessness in this regard can cause a major problem. According to a dermatologist “Oils and dead skin cells on the outermost layers of the skin are matted up against the pillow all night, and natural turnover of this dull epidermal layer is diminished so regular cleansing and exfoliation are integral to revealing healthy new skin cells and allowing the natural repair processes of the skin to occur”. So no break in cleansing if you want a fresh and brighter skin when you wake up each day. Some girls have naturally flawless skin so skin care takes a back seat in their priorities. They become lazy and usually don’t wipe off their make up before sleeping. Neglecting your skin in such a way can cause it to break out. Keeping make up on a whole night will also keep dirt allowing dead skin cells to stay there. This, in the longer run, will cause clogging pores and lead to chronic inflammation in the form of pimples. A girl’s eyes are the windows to her personality, eyes affects a girl’s overall stature, so girls make it their top priority to take maximum care of their eyes. To make them attractive, girls apply a number of products like coal pencil, mascara, eye shades and liner. Mascara adds beauty to your eyes. A lot of girls who dutifully remove their makeup forget to remove mascara from their eyes. So do you want your eye lashes to shed away? 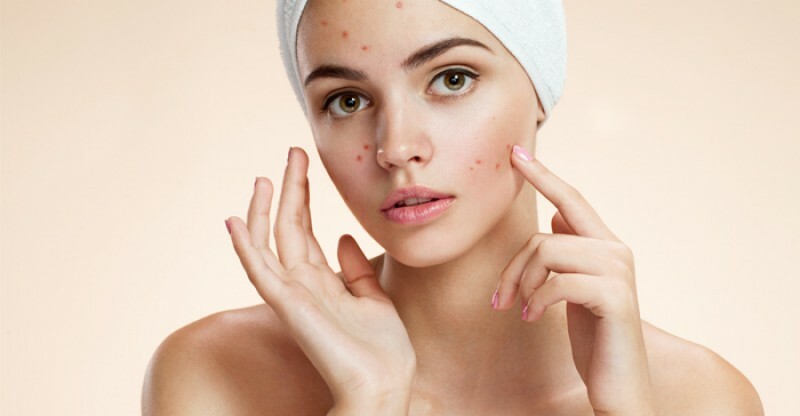 Girls with temperamental skin type often complain that pimples and acnes do not leave them and they will have to apply more makeup to conceal them. If such is the case with you, sleeping without removing your makeup can further damage your skin. Pimples and acnes will then permanently stay on your skin. According to a top dermatologist, “For those with oily skin, like acne patients, sleeping with makeup on could worsen their skin conditions”. So don’t let pimples and acne harm your beauty. Let us know if you have ever faced these problems in the comments down below.